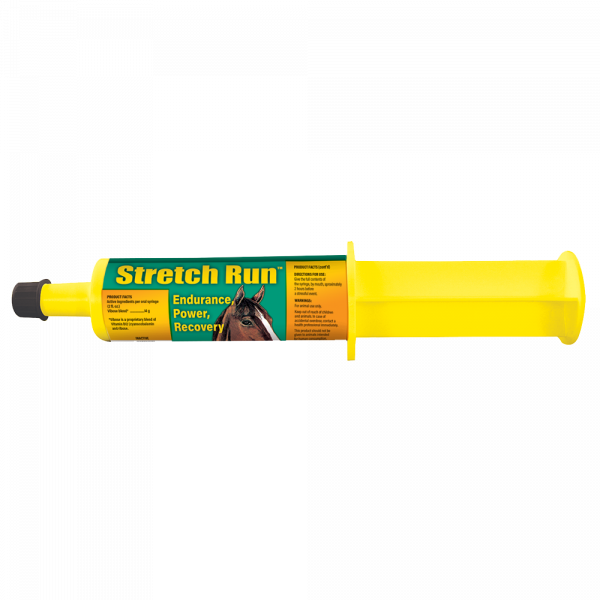 Specially formulated for performance horses, Stretch Run™ is a healthy performance product containing Vitamin B12 and Ribose (components of Adenosine Triphosphate (ATP)), and other ingredients to help maintain healthy energy levels throughout an event. *Vibose Blend is a proprietary blend of Vitamin B12 (Cyanocobalamin) and Ribose. Consult with your veterinarian before use.